NEW YORK – The voice was low, almost soft-spoken. 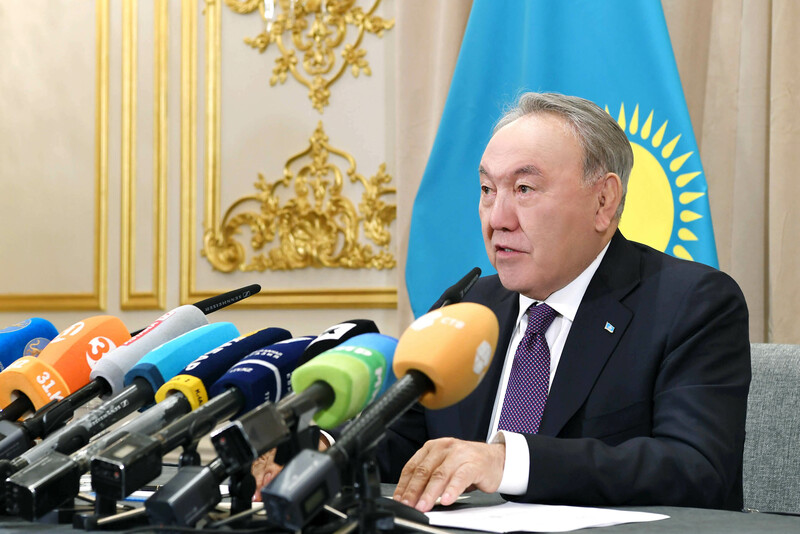 Yet the words of President Nursultan Nazarbayev – in both the United Nations Security Council and at a conference for the invited press – were spoken with a clear sense of purpose, and of his country’s newly prominent place in the world. 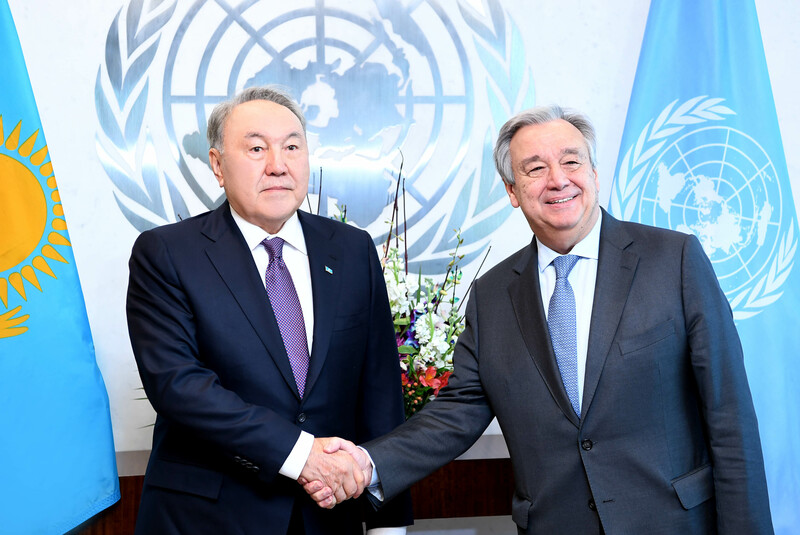 The President’s appearances – the first since his last address to the UN General Assembly slightly more than two years ago – were only part of Kazakhstan’s month as Security Council president, the first for any of the Central Asian republics. The scheduled programme for this meeting was an unusual “high-level” (i.e., countries represented by ministers or above) one, with the theme “Non-Proliferation of Weapons of Mass Destruction: Confidence Building Measures.” This has long been an issue of great concern to Kazakhstan, as it was the venue in past years for most Soviet nuclear tests at Semipalatinsk. This was the major Soviet test site in the north-eastern part of Kazakhstan. The issue is much in the world’s mind also, with the weapon and missile tests in North Korea. The UN Secretary-General, former Portuguese Prime Minister Antonio Guterres, was first to address the council. Thanking Kazakhstan for holding this important meeting, he noted that “global anxieties about nuclear weapons are the highest since the Cold War,” and he welcomed the council’s strong stand against North Korea’s nuclear programme, while noting the recent “mini-thaw” that has permitted the Democratic People’s Republic of Korea to field a team for the coming Winter Olympic Games in PyeongChang, South Korea. Nursultan Nazarbayev (L) and Antonio Guterres. Photo credit: Akorda.kz. Following the secretary-general, President Nazarbayev as the president of the council presented Kazakhstan’s vision. Speaking first in Kazakh and then in Russian, the President said that Kazakhstan was striving to be “proactive, constructive and objective.” in dealing with the council’s agenda. 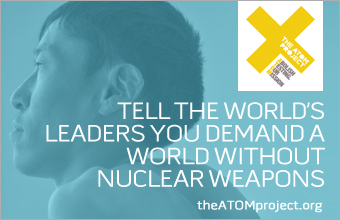 In view of the above, the President suggested that withdrawal from the Non-Proliferation Treaty should be made more difficult, that stringent measures should be instituted against the acquisition of such weapons, that nations should move away from the idea of “military blocs” and transition to a state of greater trust among themselves, and that there should definitely be a sense of political trust and systemic dialogue in international affairs. To this end, he has reminded of his manifesto from 2016, known as “The World. The 21st Century.” In addition, he further proposed creating more nuclear weapon-free zones, particularly in the Middle East, and that humanity be always on guard against “a new wave of arms race,” based upon the latest technologies. A good number of other council members spoke, but the essence of the meeting was Kazakhstan’s presentation. The U.S., the President noted, is the most powerful nation on earth. It – and the world – are now in the midst of the fourth or digital industrial revolution. Kazakhstan has worked with such U.S. firms as Oppenheimer and Goldman Sachs, with General Electric, Microsoft, IBM and Amazon, in pursuit of its growth and industrialisation. The President said that U.S. President Donald Trump – who is the fifth consecutive U.S. President with whom he has dealt – is different from his predecessors. He sees Trump as a businessman, with whom he found common ground. Nazarbayev said he had discussed various world hotspots with Trump. He felt that the North Korea situation can be solved jointly by the U.S., Russia and China. Likewise, he feels the Ukraine situation is solvable. It will require peacekeepers in the eastern Donbass region, with some human rights guarantees, he said. On Iran, he knows that Trump dislikes the Iran Deal, but feels that it must work. He supports U.S. efforts in Afghanistan (about which his foreign minister would hold a council meeting the following day). The President told of the new “Central Asian Five Plus One” countries, (the five Central Asian republics, plus the United States), who will continue to develop a special relationship in this multilateral format. Fifteen countries, he said, are “on the cusp” of going nuclear. But Kazakhstan pointedly refused to keep its nuclear arsenal. As a result, it has been the beneficiary of $300 billion in foreign direct investment since independence. Nuclear bombs, he asserted, are an irritant, and do not bring independence. In response to a question from this reporter, the President discussed the Astana Process efforts for peace in Syria: there have been seven meetings already, with an eighth to come. Russia, Iran and Turkey all favour the continuation of the process. This should eventually lead to negotiations, a new constitution and a peaceful solution, he noted. Speaking of Trump, the President repeated that he is not like previous U.S. presidents with whom he has dealt. He lauded the new tax cut, which he believes will be beneficial. And he says that America’s economy is growing, though there are still problems, such as trade issues with China.